Happy Monday! Seriously, time is going by way too fast, June is now almost over! I guess now all there is left to do is really enjoy the ride of life! It is now officially Summer and I couldn't be anymore happier. I plan on doing different and new things I've never done, meet new people, and be happy! There comes a time in your life where you seriously reflect on the state you are in now as opposed to where you were at before. That is my current situation. I reflected back to a year ago and see how much my life has changed and honestly I probably never imagine myself being this happy now under my life's circumstances. But you know what? I couldn't be any more grateful for it. There's one thing I've learned and it's that no matter how hard life may get, you are always going to get better. Sometimes, the hard times are inevitable. They are necessary to experience because you'll be that much more grateful and happy when you gotten past them all. We would never know the difference of bad and good if we never at rock bottom. The struggles that we go through are meant to shape us and prepare us for the grand finale. There are things we must learn and experiences we must face in order to learn and know what is needed. So that way when we are much better and doing grand, we know how humble to be and we'll be able to differentiate the goodness of the top. So, if you are experiencing some difficulties just remember that this isn't going to last forever. You WILL get through it and TRUST me, you will be better! You can't imagine it now but all in due time (even though it seems like time takes forever) everything will pan out the way it should. Obstacles are meant to happen, to help us learn, grow, and experience. Everything is a learning experience and your time is coming; wait on it and believe. I always love your Motivation Monday posts! You never fail to emphasize positivity and perseverance. I love this idea of overcoming struggle to appreciate everything else. Great ideas!! Sorry accidentally pasted wrong thing. Lol. But anyway, I always love your Motivation Monday posts! They're always inspiring. 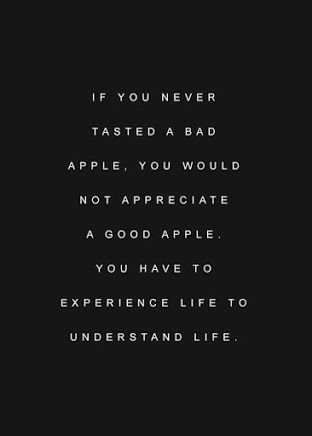 Life definitely throws a lot of lemons, but it's through rough times that we learn to appreciate the good ones. Thank you so much for reading Maggie! I appreciate it! Life is hard at times, but also very very sweet as long as we keep pushing!